Today is New moon day, an auspicious day in the Tibetan Buddhist calendar for sharing HIs Holiness the Dalai Lama giving Advice on Living and Dying without Regrets. A timely reminder of the preciousness and transience of this life. Dear Michael, thank you for sharing your gratitude and your situation. If you have any questions about your end of life that you would like help with please let us know..
Heart felt thanks for this Margaret. It is very timely. Dear Margaret, thank you for your kind reply. I am due to have an operation early this year. I am prepared for whatever happens as a result. My main feeling is one of great gratitude and joy at being given the opportunity to have taken the Refuge and Bodhisattva Vows with Ringu Tulku Rinpoche and to have encountered great teachers and brothers and sisters in this life. I sincerely wish joy, peace and the end of suffering for all sentient beings and welcome the opportunity to work towards this goal in this life and the lives to come. Thank you for your inspiring response. So pleased you are in a state of acceptance and have the bodhisattva aspiration to help end the suffering of all beings in this life and I future lives. A noble heart. Do keep in touch if you wish. Just to let you know that I have had a successful operation, the tumour was non-malignant. The experience was a timely reminder of just how valuable and uncertain is this human life – there really is no time for complacency or prognostication! 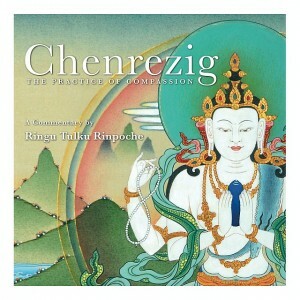 Here in the UK we have been blessed recently with inspiring teachings from Rinpoche, and this weekend in London, HH Karmapa is teaching and bestowing Chenrezig Empowerment! I am booked for the Bodhicharya Summer School in Portugal. Looks like this will be a great year, after all! Looking forward to meeting you at summer camp.